Glasgow's biggest bus operator has said it is facing a bill of £100m over the next five years in order to meet strict new rules on air pollution. 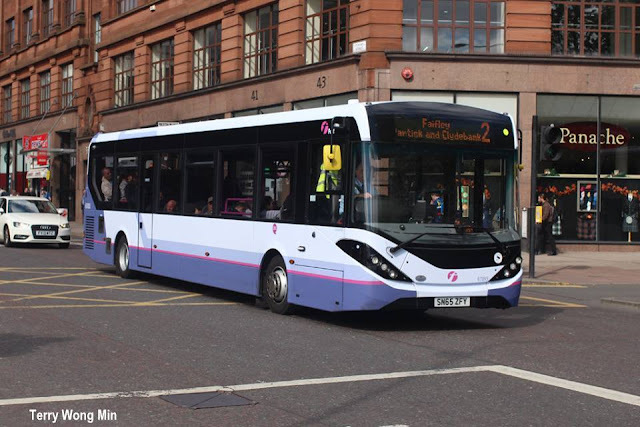 First Glasgow revealed the cost as it prepared to unveil the first of a fleet of new buses designed to operate in the city's planned Low Emission Zone (LEZ). The LEZ is due to phased in from the end of this year. It involves mandatory cuts to exhaust emissions, to protect people from dangerous airborne pollution. First Glasgow is due to unveil the first batch of 25 buses which have been fitted with Euro VI low emission systems ahead of the launch of the zone. 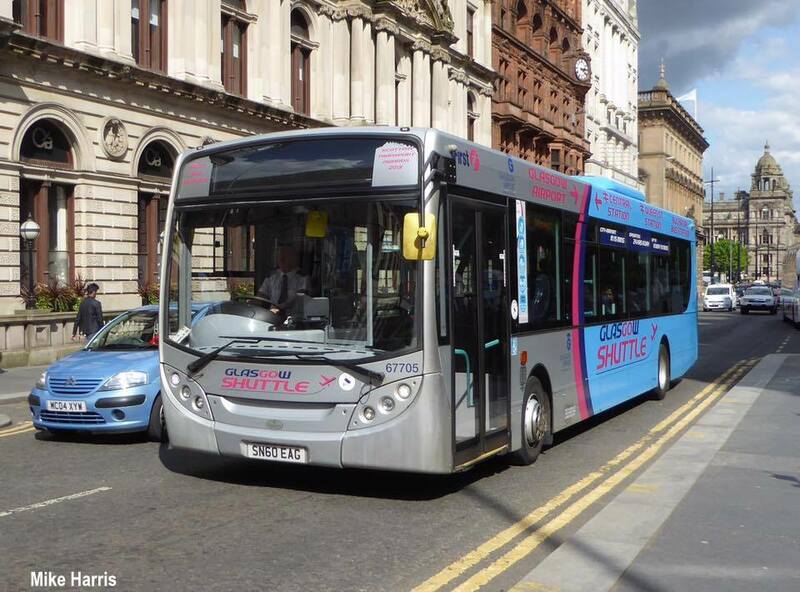 They will start operating in the city from Wednesday, with the first service due to run from Castlemilk to Milton. A further 50 compliant vehicles are due to be delivered by November. First Glasgow is investing £14m in the new fleet this year alone. During phase one of the LEZ, 20% of a bus operator's fleet is required to be compliant. A target of 100% has been set for the end of 2022. First Glasgow will be required to invest millions of pounds each year in order to meet that target. It includes the cost of retrofitting other buses in its 850-strong fleet over the next few years. Transport Scotland said the Scottish government was investing £10.8m this year in implementing low emission zones, which are due to be set up in four Scottish cities by 2020. 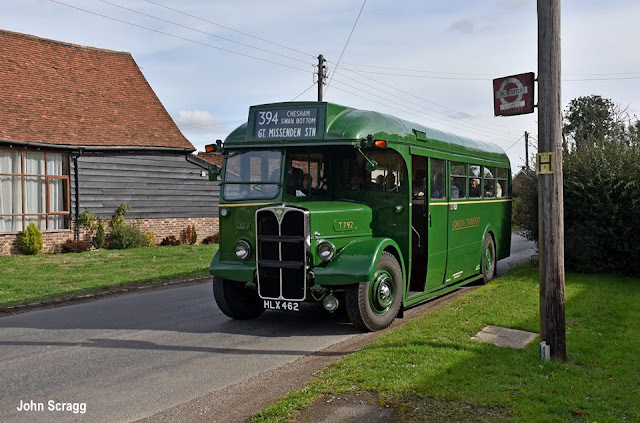 A spokesman said: "Almost 70% of this will be used to support the bus industry through the Bus Emission Abatement Retrofit Programme which will be launched soon and will allow more than 500 buses to be retrofitted. "£2.8m is being made available this year to support local authorities as they plan to introduce LEZs with applications for funding currently being considered by Transport Scotland. "In addition, our Green Bus Fund also supports the take-up of new low emission buses. "Operators in Glasgow and elsewhere have benefited from grants so that they push beyond standard diesel buses to greener technologies. "Over seven rounds, grants totalling £16m have been awarded assisting in the purchase of 361 new low carbon emission buses across Scotland. "The eighth round is expected to provide a further £1.7m to support the introduction of more buses in future, including 125 new low emission buses for First's Glasgow operation." Proposals to introduce Scotland's first LEZ were agreed by the city council in September last year. The scheme is due to be extended to other vehicles in stages.